Department of Budget and Management (DBM) Secretary Florencio “Butch” Abad has urged the City of Makati to finally do away with handing out envelopes during payday in favor of a comprehensive electronic payroll system, in reference to a 2012 report by the Commission on Audit (COA) that noted the city was still paying their employees using cash. The 2012 COA Annual Audit Report on Makati also noted that majority of government offices were already using automated teller machines (ATMs) to pay their employees. According to the report, ATMs lower the risk of fund misuse and result in greater convenience, transparency, and accountability. Earlier news reports alleged that Makati—the last local government in Metro Manila still using manual pay-outs—still hadn’t completed the transition to an ATM payroll system for its employees. “We understand that three years later, Makati City still pays around half of its employees in cash instead of through ATM. While they’ve made progress since then, we urge Acting Mayor Romulo ‘Kid’ Peña, Jr. to complete the transition to ATM payments. Not only are electronic payroll systems more efficient—they also help keep LGUs clear of ghost employees, since the creation of ATM accounts will require account holders to show sufficient proof of identification,” Abad said. Since 2010, a major component of the administration’s good governance reforms—the Public Financial Management (PFM) program—seeks to improve the efficiency and transparency of the use of public funds through clarifying, simplifying, and harmonizing government financial management processes and information systems. This has been achieved substantively through the government’s adoption of the Unified Accounts Code Structure (UACS) and the Treasury Single Account (TSA). The UACS is a classification system that allows for improved monitoring of the status and details of projects, activities, and programs. Meanwhile, the TSA unifies the structure of government bank accounts and presents a clearer picture of cash resources. “The national government has been actively upgrading our financial management systems and pushing for the highest degree of transparency in our practices. 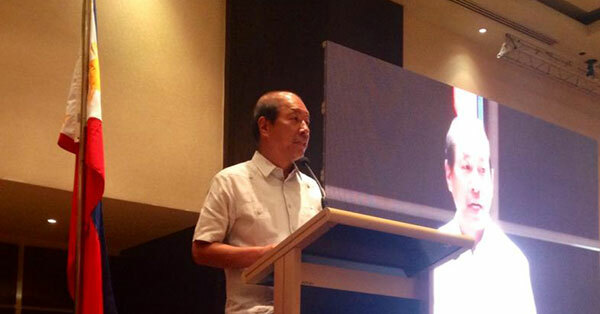 We need local governments—especially those that manage sizeable resources like Makati—to stand with us in our drive for good governance,” Abad said. The city of Makati is the richest local government unit in the country yet it has not implemented a full ATM payroll system. What do you think?